President Obama turned the page on years of shaky ties with Canada by staging a lavish welcome for Prime Minister Justin Trudeau. President Barack Obama and first lady Michelle Obama await the arrival of Canada's prime minister and his wife at the White House in Washington on March 10, 2016. 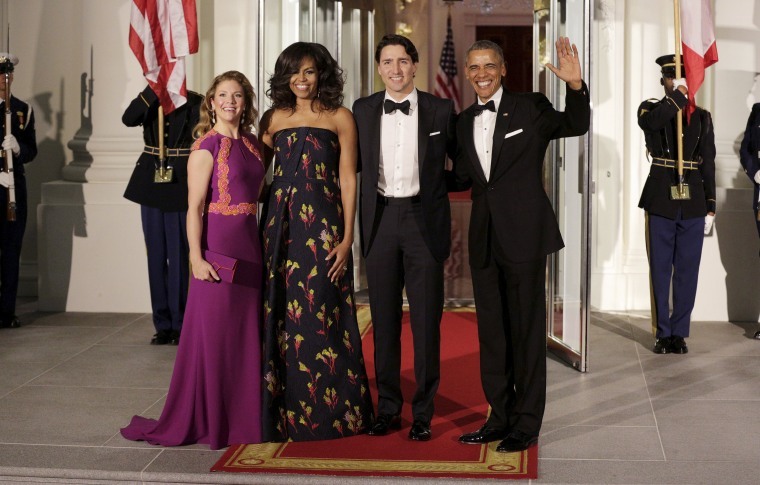 President Obama and the first lady greet Canadian Prime Minister Justin Trudeau and Sophie Gregoire-Trudeau before a state dinner at the White House. 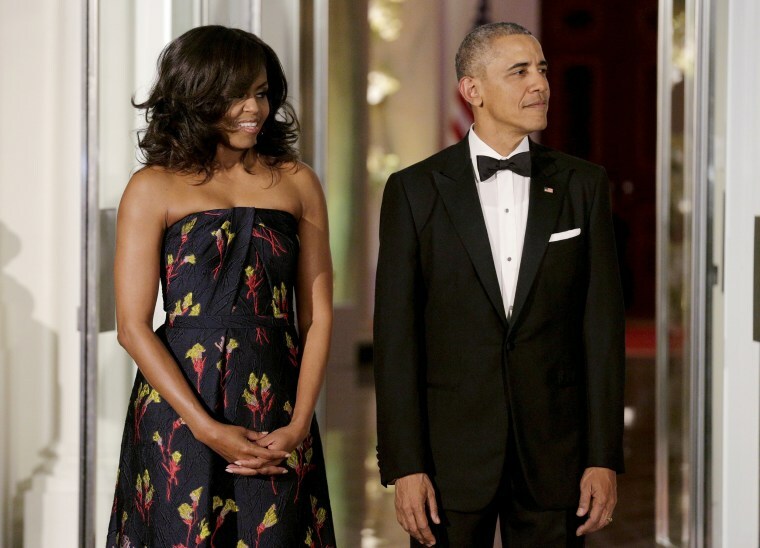 President Obama and first lady Michelle Obama welcome Canada's Prime Minister Justin Trudeau and his wife Sophie Gregoire-Trudeau as they arrive for a state dinner at the White House. 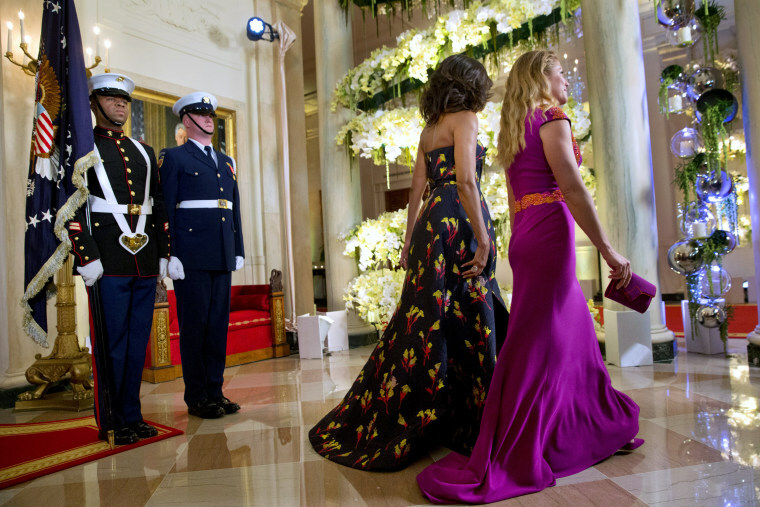 First lady Michelle Obama and Sophie Grégoire Trudeau walk through the White House as they follow their husbands to the State Dinner. 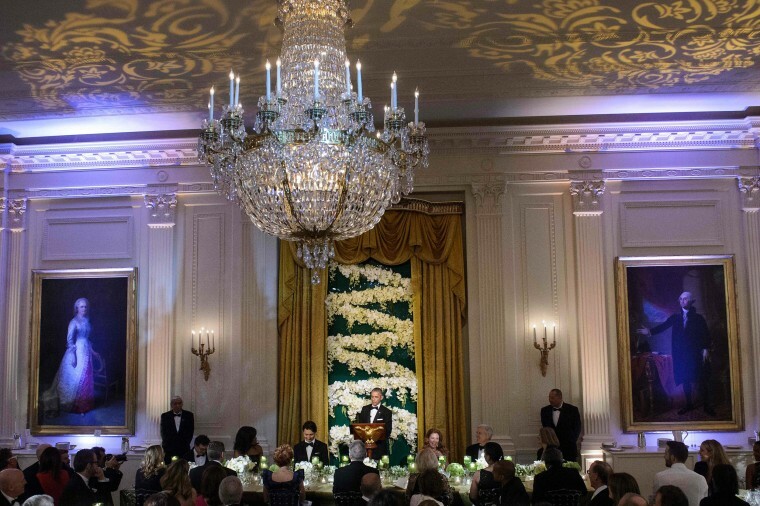 President Obama speaks during the State Dinner. Keeping good relations with the United States is critical for Canada, which sends 75 percent of its exports to its southern neighbor. 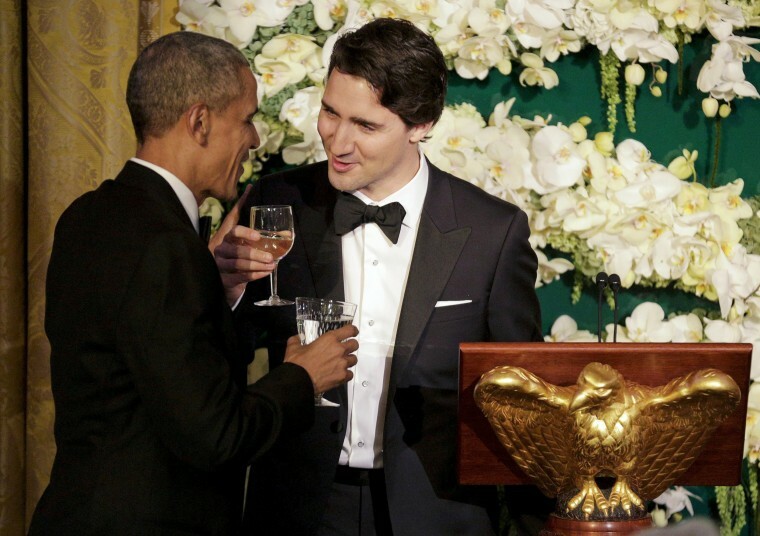 Canada's Prime Minister Justin Trudeau toasts President Obama. Canadian-American Actor Michael J. 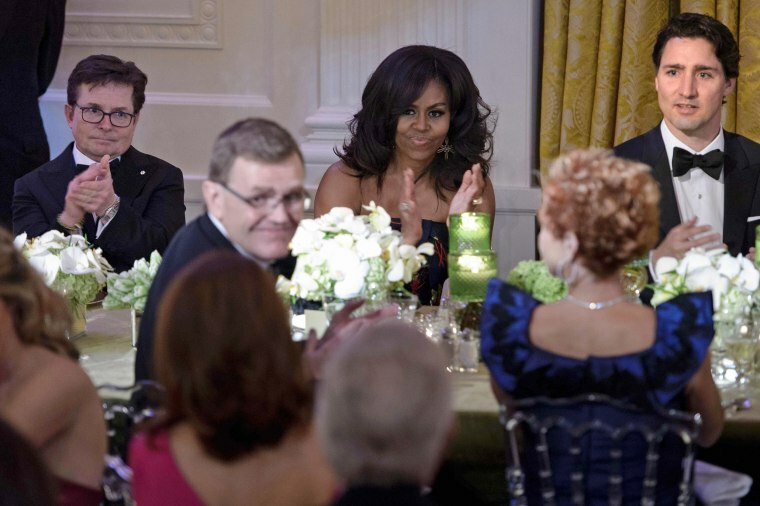 Fox, first lady Michelle Obama, Canadian Prime Minister Justin Trudeau, right, and others clap during the dinner. 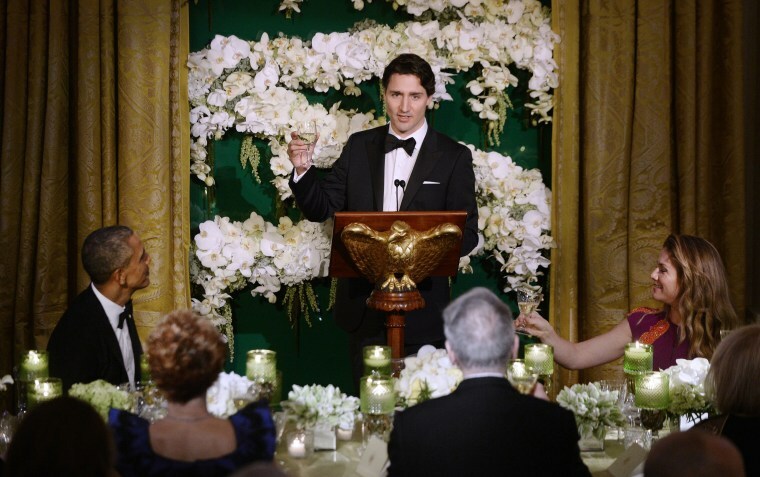 Prime Minister Trudeau toasts as President Obama and Sophie Trudeau look on.